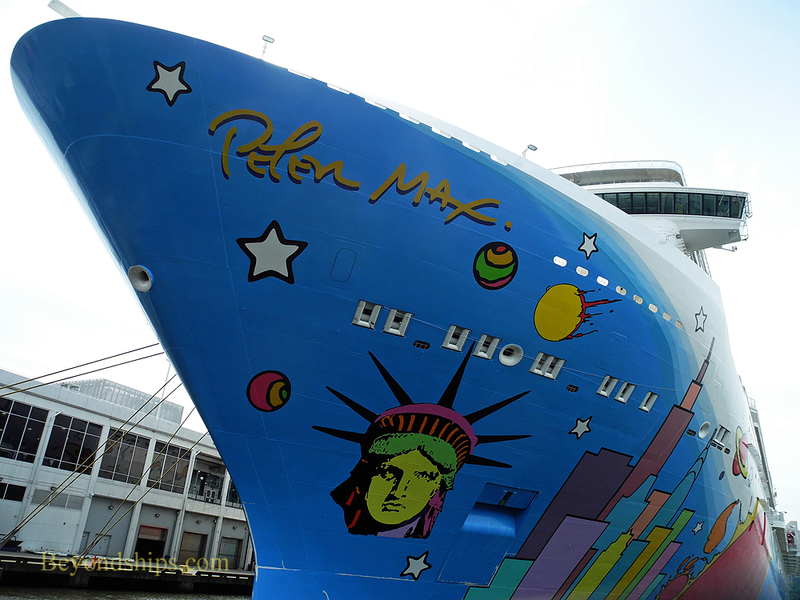 A conversation with Captain Evans Hoyt of Norwegian Breakaway. Breakaway's immediate predecessor was Norwegian Epic, a ship that, along with Royal Caribbean's Oasis class ships, has created a new model for cruising. Under the traditional model, an evening on a cruise ship revolved around dinner in the main dining room and a show in the ship's theater. Norwegian put a crack in this model when it gave guests a number of quality choices as to when and where to dine. Epic, in the vanguard of this new generation of cruise ships, also gave guests a number of quality choices as to their evening's entertainment. Perhaps the most notable innovation on Breakaway that is beyond Epic is The Waterfront, a broad outdoor promenade along Breakaway's sides and stern. Outdoor promenades date back to the days of the great ocean liners but The Waterfront differs from those of the past in that there are restaurants and bars with outdoor seating along the promenade. There is also greater access to the ship's interior which has the effect of opening out the ship's public space. The last ships built for Norwegian by Meyer Werft, the Jewel class, are among the fastest cruise ships in service. (see article). Beyond just being cool, having the ability to do 25-plus knots has practical uses. The Jewel class ships use their speed to get to the warm weather from cold weather ports such as New York more quickly and in avoiding bad weather. Nonetheless, it was decided not to build Breakaway as a high speed cruise ship. While Breakaway's New York to Bermuda cruises do not require great speed, the itinerary does require the ship to be very maneuverable. In New York, Breakaway docks at the New York Passenger Ship Terminal. These piers were originally built in the 1930s for the Normandie and the Queen Mary, ships that were just over half the size of Breakaway. In addition, ships entering or exiting these berths have to make a 90 degree turn across the river's powerful current.